Today's post is LOOONG overdue for me. Seriously. It's kind of embarrassing. 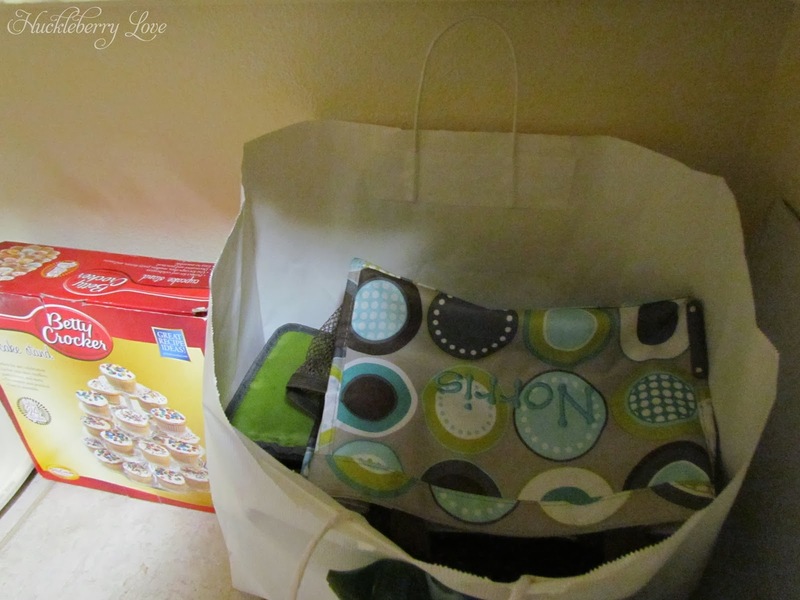 But, I have no shame and therefore I'm about to air my dirty laundry disorganized pantry with the blogosphere. 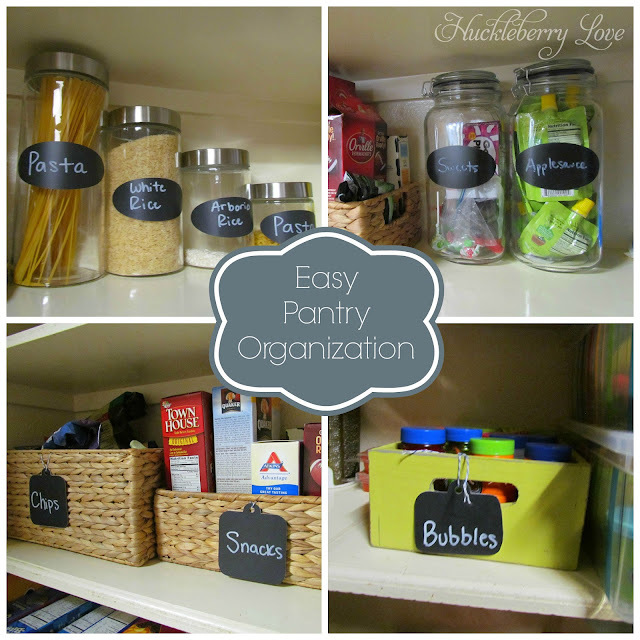 Luckily, this story has a happy ending and I'm sharing a few good tips to help others suffering from "Unorganized Pantry Syndrome" get on track to a clean and organized space! Okay, brace yourselves people. The image you're about to see is scary. Very scary. 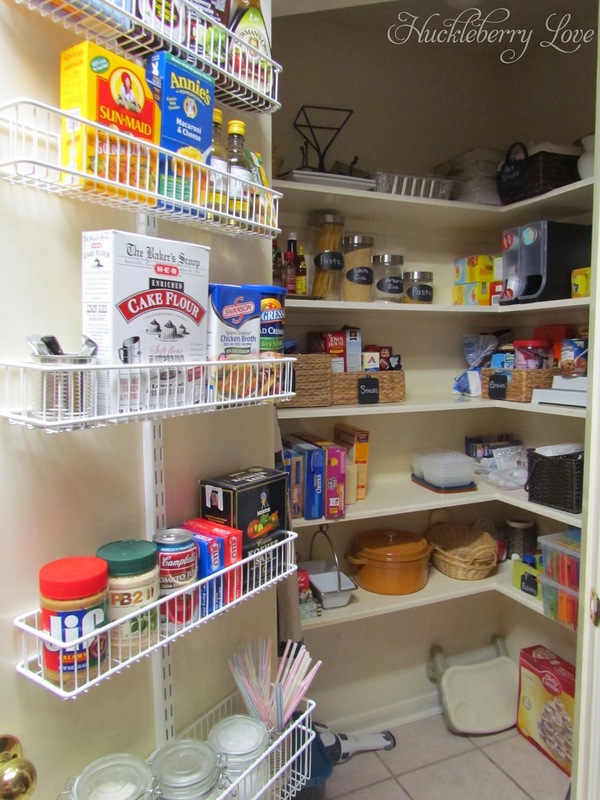 I give you, my "before" pantry picture. It's bad. I wasn't exaggerating. The above is probably 3+ years of disorganization. 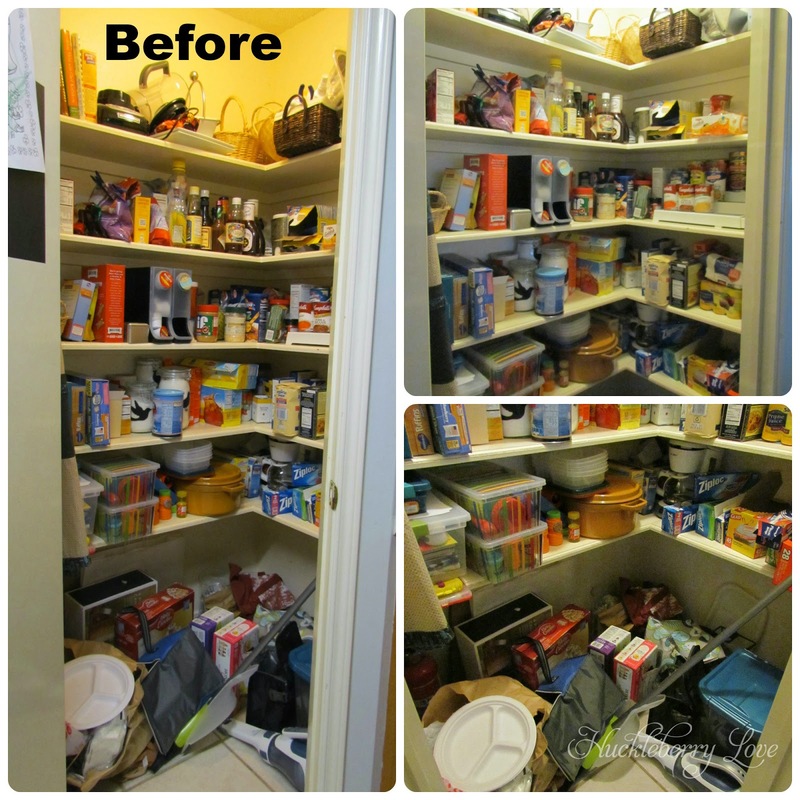 In our small house the pantry became the dumping ground for a multitude of items that did not belong there. It was also an appliance, canned food and random item burial ground. Not pretty, my friends. Thankfully, this horror story has a happy ending. One trip to the Container Store, 3 hours of sorting, tossing and rearranging and 6 garbage bags later... we have a clean and organized pantry! :) I am so pleased with the result. And I definitely wish that I had done this years ago. It was so easy and freeing to get rid of all of the junk so that this area could finally be a usable and purposeful space. I started by taking EVERYTHING out of the pantry. It was overwhelming, but I didn't give up! The amount of expired food we had in there was discouraging. It made me sad to think of all of the money that I had wasted while grocery shopping and by not meal planning well enough. Tip #1: Corral all oils and sauces onto a baking sheet or small metal tray. It keeps them from getting your shelves all sticky. 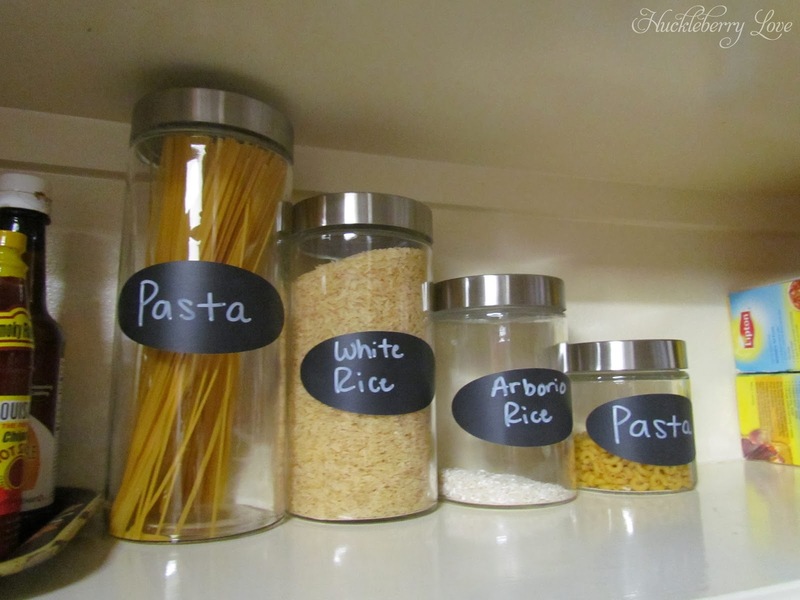 Tip #3: Place pasta and rice in glass containers. This way I can actually see how much I have of a product so I don't keep buying things that I don't need! Plus, it looks pretty. Always a plus! We received this set from Target as a wedding gift and I put them on our pantry floor where they sat in the box for a year and a half. I'm so glad that I found them and was able to put them to good use! Tip #4: Keep chips, snack food and other like items together in roomy baskets. They take up less room in the pantry this way and keep things looking clean and organized. I found these baskets at The Container Store. 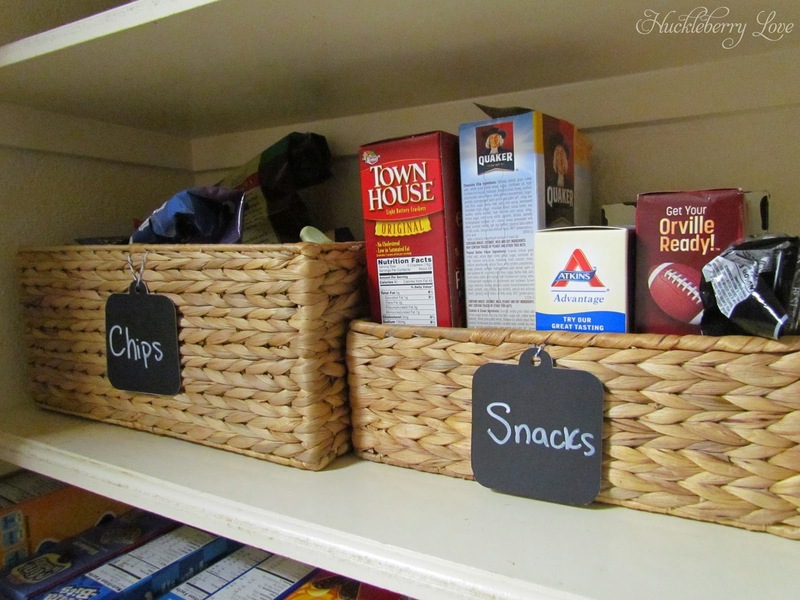 Tip #6: Keep items for your children together on one low shelf. Easy access is key for my boys... whenever they want to play with Play Doh, color, paint or blow bubbles, they can simply grab whichever box they need (they're all separated) and have a good time! Also, since everything goes back in the same box and there's no sorting involved, it's an easy clean-up process for them, too. 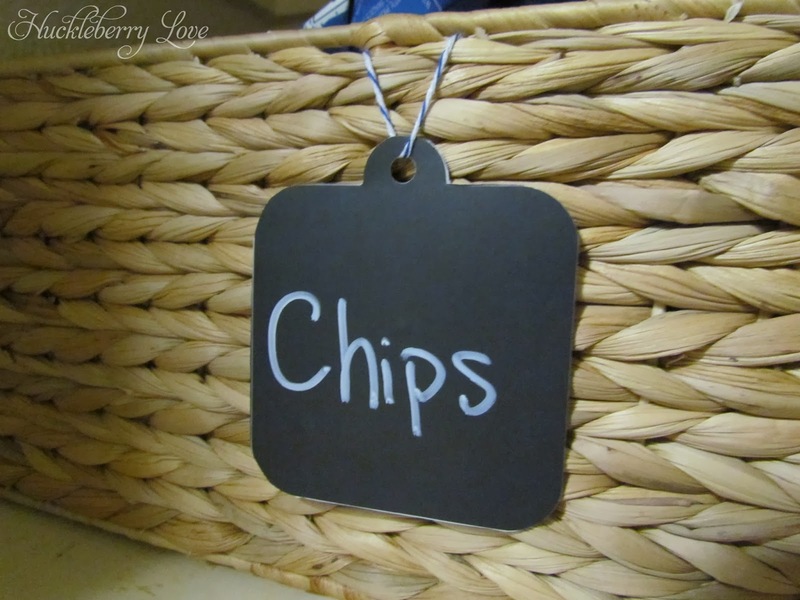 Tip #7: Keep an eye out for cheaper storage options at your favorite stores. These big canisters came with chalkboard labels and chalk and were a measly $4.99 at Home Goods! Major score! Tip #8: Utilize every inch of space. I had been wanting to purchase an Elfa Organizer from the Container Store for awhile. They're not a cheap investment, so I kept putting it off. But, they had a 30% off sale in December (which is still going on NOW!!) and I jumped on the chance to buy one for the pantry. It was easy to install and holds SO MUCH stuff! I highly recommend one of these storage systems. Tip #9: In the same vein as the previous tip, utilize whatever space you have. Even the floor, within reason. Our pantry floor was completely covered with junk before. After clearing it all out, it was virtually empty. I used a large handle bag to store our lunch boxes and keep it tucked away under a bottom shelf in the corner. It's unobtrusive and doesn't look cluttered. So, there you have it, folks. 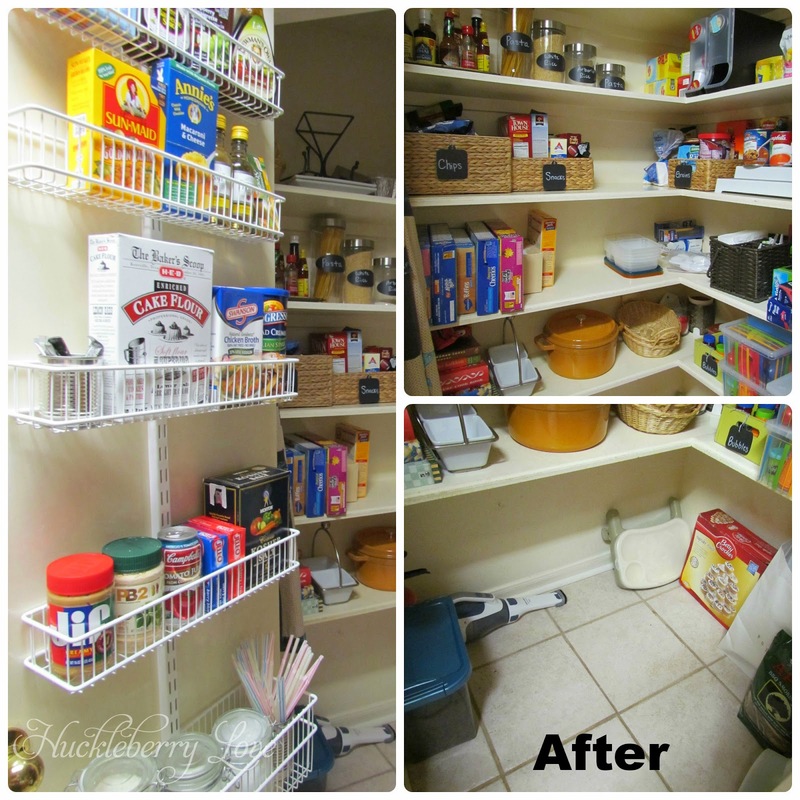 A few easy tips to help take your pantry from a cluttered mess to an organized and useful space! 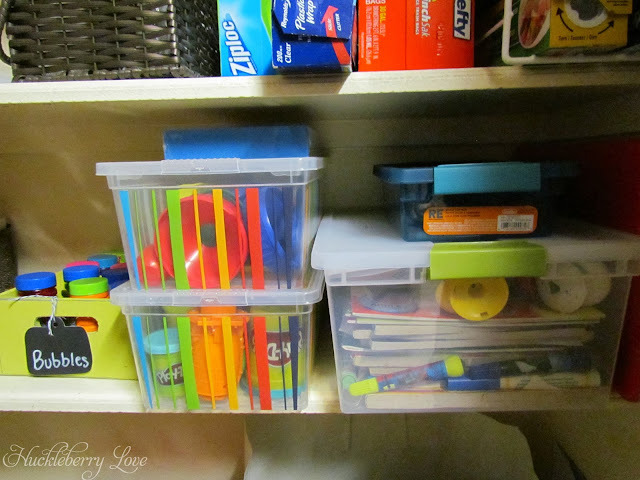 Have you done any reorganizing in the New Year? Is your before pantry as scary as mine? Wow, looks fantastic Emily! 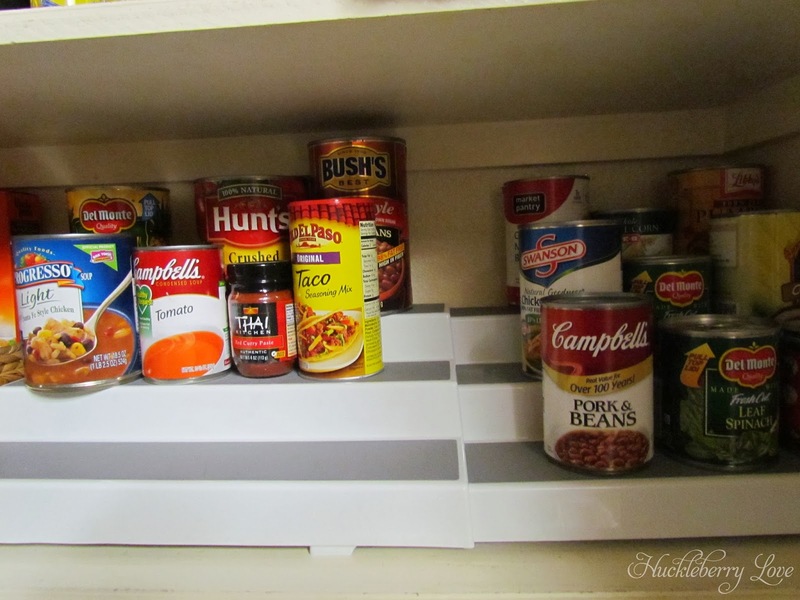 Love how organized your pantry looks now! Ours needs some organizing too - I use those expandable shelves as well as baskets but need some canisters and containers for our pasta, rice and beans. Love the Elfa Organizer too. Thanks for sharing and the great tips! 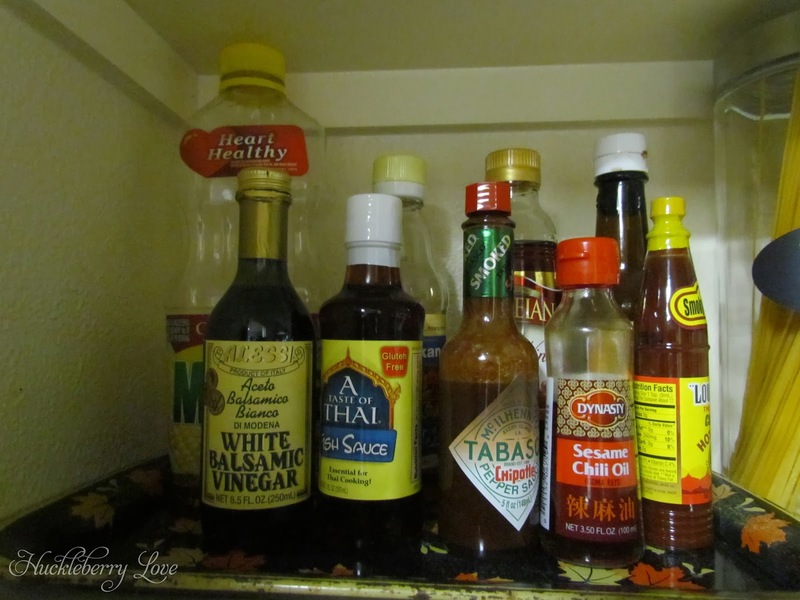 Taking everything out of pantry to go thru is way I'd do it too. You did such a great job organizing it all. Not fun project but when you're done it feels so good. Be glad you have a pantry. 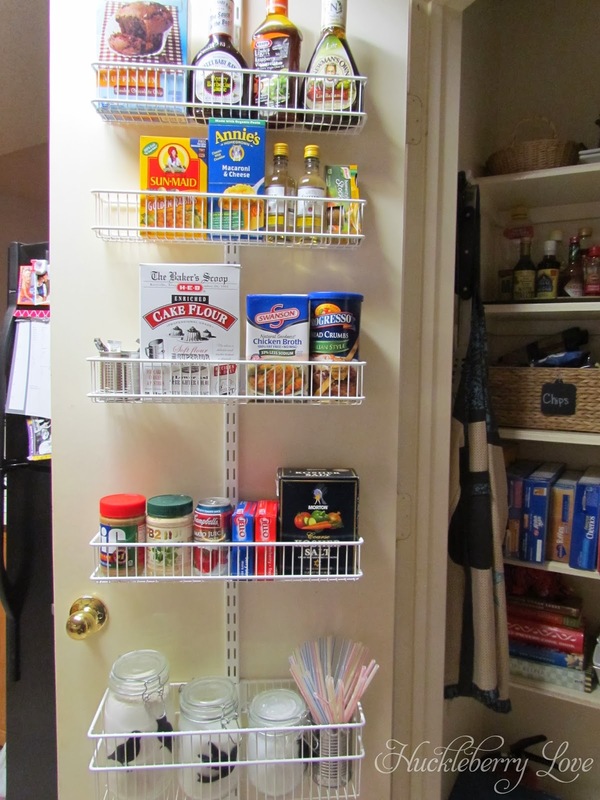 I love that door rack, could use couple small ones for our cupboard doors. 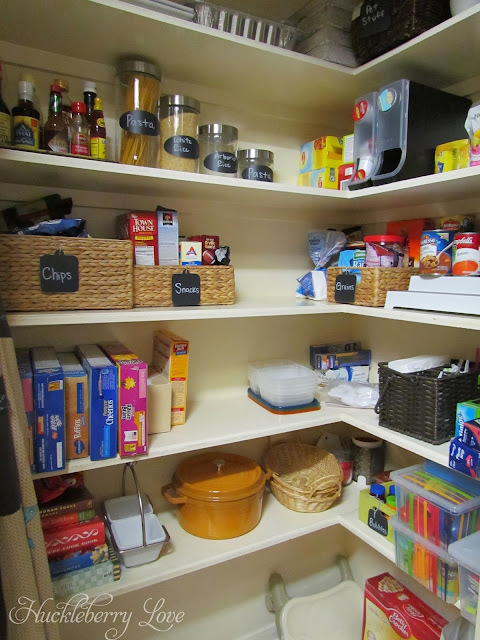 No pantry, have all foods in bottom cupboards, hard to see things even during day that lurk in back of cupboards. I tried putting canned goods in category plastic baskets but somebody else thinks just throwing them in is better method. Go figure. I have pasta, rice, beans in big jars I've had forever, sure handy. I keep bigger jars from pasta sauce and pickles to store many food items. I like to be able to see what's in them also to know what we need and have. Not perfect but better than it was for while. 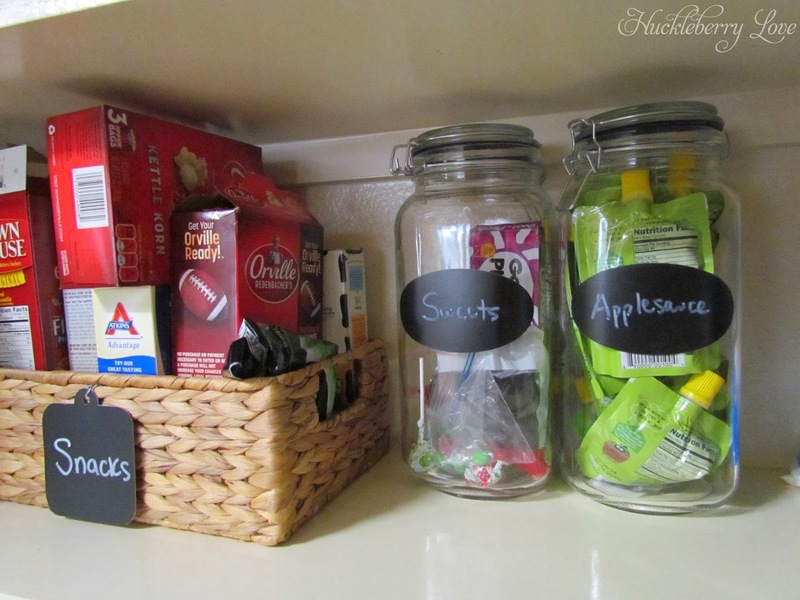 Can only do what you have room for, recycling jars, glass containers to reuse. Saves us so much. I prefer to use glass so luckily I had several glass containers from years ago, when an item runs out I sanitize jar and start over. 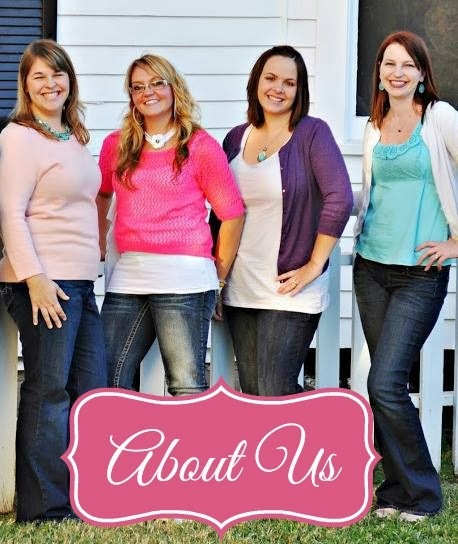 Following you on google+ and facebook!